Lose Yourself Without Getting Lost. 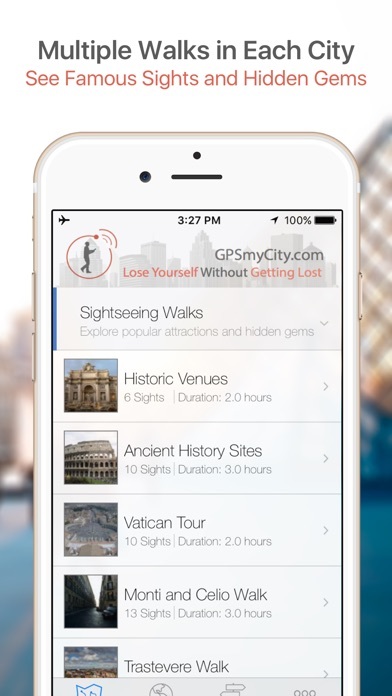 This handy application presents you several self-guided walks featuring the best of the city, from world famous attractions to hidden gems. There simply is no better way to see a city on foot, at your own pace and at a cost that is only a fraction of what you would normally pay for a guided tour. 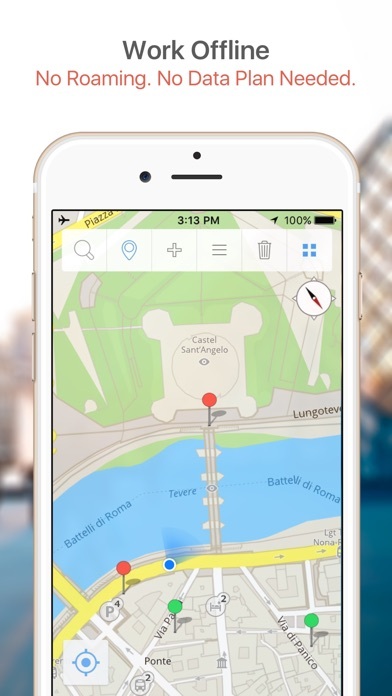 This app comes with a detailed and fully functional city map to help you explore the city and locate the sights of interest. 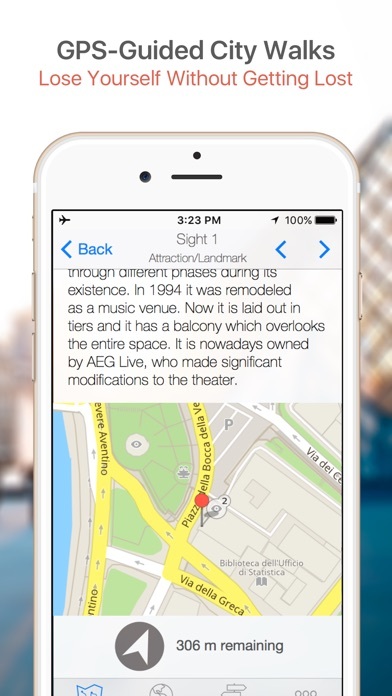 City map functions included in this app are: street name and business (restaurants, cafes, etc. ), search, location bookmarking, `Findme` (iPhone and iPad 3/4G model), movement tracking (iPhone and iPad 3/4G model), and more. You can track your steps, take photos along the way, and then share your tracks and photos with friends. Sightseeing walks included in this application are: * City Orientation Walk (14 sights) * Historic Houses in Savannah (9 sights) * Religious Edifices (9 sights) * Museums and Art Galleries (7 sights) * Family Entertainment (6 sights) * Specialty Shops (5 sights) * River Street Shopping (7 sights) * African-American Heritage (8 sights) No Data Plan or Internet is Needed, and No Roaming either. All the data used in this app is built into the software, so there is no need for internet access or cellular data plan. No need to pay costly roaming charges when traveling to foreign cities. The app works with your iPhone, iPod Touch or iPad. 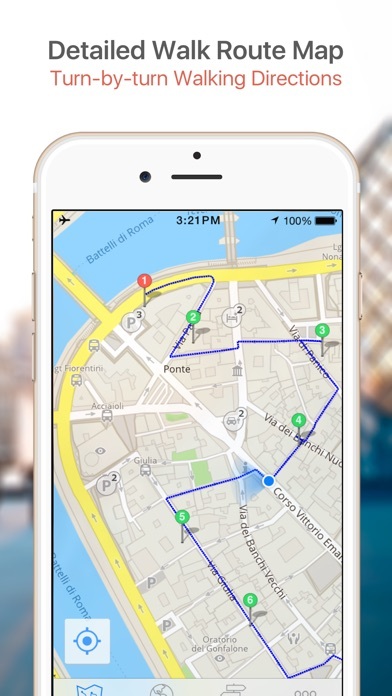 All the navigation features related to the city walks are disabled in this Lite version, which means that you can view the walk details (sight descriptions and photos), but NO navigation assistance is provided to guide you from one sight to the next. Download the Lite version if you want to use the city map or learn about the city walks. However, if you want to join the walks, it is highly recommended that you download a Full Version of this app. The Full Version includes detailed walk route maps to guide you from one sight to the next. Please visit our website at www.GPSmyCity.com to find city walks for over 470 cities worldwide. Note: Continued use of GPS running in the background can dramatically decrease battery life. This app gives you the option to turn off the GPS tracking in the background to prolong the battery life. I tried to rate this app as a one, but it wouldn't except it. Poor quality, but the only app available. seems to be a come on to purchased the enhanced version, which wasn't much better. We didn't need it after all. This has a nice list of places to check out, but no addresses and no directions. Apparently you have to upgrade to get those. I previously tried to download this app & it hung up, but thanks to prompt response from creators a power-down solved the problem. It looks just like what I wanted unluckily just a day too late for me to try it in Savannah - maybe next time.